Last updated: July 17, 2018 at 2:09pm by Savanah – Gambling news in Montana has been very slow for quite sometime. The latest significant information to report is House Bill 181 was drafted by state Republican Forrest Mandeville in late 2015, a bill to legalize online daily fantasy sports (DFS) betting, but it did not pass. Montana is a very unique state when it comes to gambling and internet gambling. For the most part, they are one of the more lenient and accepting states when it comes to gambling. For example, poker, bingo, state lottery, video gaming machines are just a few legal forms of gambling within the state. Even sports betting is legal under the Professional and Amateur Sports Protection Act. The interesting thing here is since poker is legal to play under certain restrictions, they appear to consider the game “skill” and not “chance”. When it comes to playing poker online, well, that appears to be a different story. Although we are not lawyers, it looks like Montana is more aggressive when it comes to placing bets on sports or playing poker over the internet. However, we could not find any cases where people were arrested and found guilty of playing poker for real money on the world-wide-web. Who Regulates All Forms of Gambling in Montana? The state takes 10–15 percent of the proceeds which comes to about $300+ million annually. 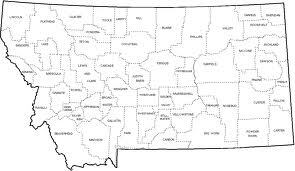 The legal age for gambling in Montana is 18. 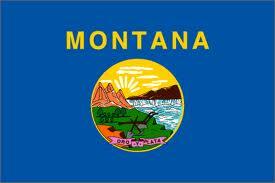 If you want to find a great article with all the significant timelines on the history of Montana gambling click here. It dates to 1889 and all the way through the current year, a very informative read. The traditional forms of poker are legal such as Omaha, draw, and 7-card stud to name a few. All forms have limit restrictions, maximum $2 bet and $800 payout. Not the greatest especially if you’re a high-stakes player but it’s better than nothing. Keno is also considered legal to play. Blackjack, pia gow, and other card games where the players bet against the house are illegal. Same goes for craps and roulette in case you were wondering although they are not card games but considered a popular form of gambling.